BUCHANAN TD22902 BARBER CHAIR: Wonderful features include a recline up to 45 degrees, footrest, adjustable extra-long headrest, and heavy duty pump for weight up to 450lbs. 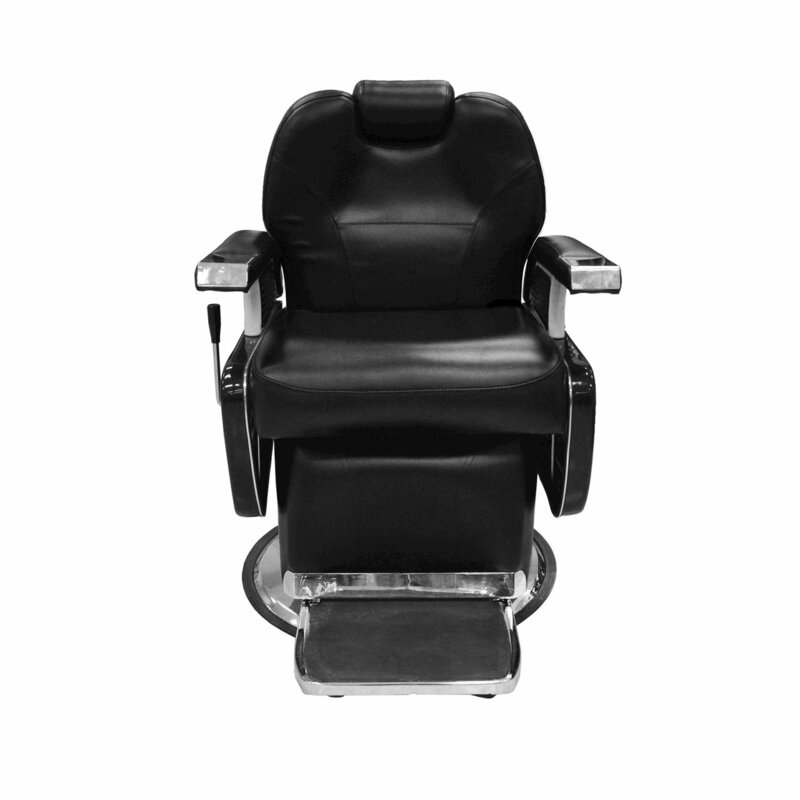 - Steel reinforced frame with plush leather cushioning. - Footrest raises with recline of chair. - Headrest adjustable up to 9”.